Winch out services are mainly used to help to pull vehicles out of difficult spots. 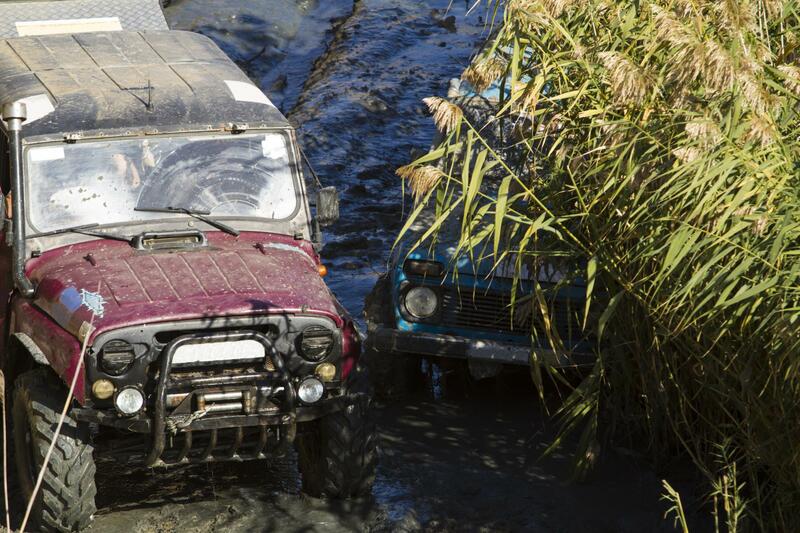 Sometimes it is unavoidable, you might get yourself stuck in some thick mud or you might find yourself in a sticky situation where you cannot maneuver yourself out without causing danger to the vehicle or to yourselves. If this happens to you, it is important to get in touch with us straight away (the contact number can be found on this website) and to let us know your situation. The best thing to do know before reading on is to save our number on your phone so that if you ever find yourself in a bad patch, you won’t have to worry about data or wifi in order to find our number again! We know how frustrating it can be to be on your way somewhere only to hear your wheels begin to struggle in the terrain below. This happens a lot and normally people don’t know how to react when it does. It is part of the reason why we love our jobs - because we are constantly able to help people out of difficult situations and they are always very grateful for it. Seriously, we understand how annoying it is to get stuck and to wish that you had taken more safety precautions or a different route. That is why we have included this as part of our service package - to ensure that you are able to get on with your day as quickly and as efficiently as possible. Becoming trapped will never be a stress-free enterprise. But with the help of Tyler Towing Service, we can reduce that stress as much as possible. One of the things people tend to worry about here is the capacity. Some people think that their vehicle might be a bit too heavy for a winch out. Never fear - normally a good barometer for that is 1.5 times the weight of the vehicle. This means that we need a winch to be able to operate a force of 1.5 times the weight of what it is trying to pull. Therefore, the first step in the process is to remove everyone from the area and to judge the weight of the car. After that, we can hook up the winch and get to work. It won’t be as painful as you imagine and it will be less money that you are thinking as well! In terms of the winch itself, we use two materials. Steel and synthetic. Synthetic is easier to handle whilst steel can hold stronger than synthetic, it can pull for longer and withstand more friction. Therefore, the choice is there to be made and our team of experts are well-versed in making the right decision. If you ever need a winch out, look no further that Tyler Towing Service. We will be there to help you in all situations and we have the equipment and the know how to cope with whatever dramas your throw at us.